Now you're thinking with Portals. Or rather, you should be - according to research from Florida State University, which has shown that playing Portal 2 is apparently better for your thinking skills than your average 'brain training' software. The short study, conducted by Valerie Shute, only took place over 8 hours - so whilst it doesn't give us the full picture for her findings, it does show an interesting starting point for seeing how mainstream video games can aid with a better understanding of Neuroplasticity (the idea that an adult brain can grow and change for the better through training and constructive methods of play). Shute and her colleagues split their test subjects into two groups: One group played popular brain training software Lumosity for 8 hours, the other played Portal 2. After their playing sessions, the groups were then subjected to a deadly neurotoxin a series of standard cognitive skills tests - and the group that had spent their time outwitting GLaDOS trumped the group who'd played Lumosity in every one. So whilst the short nature of the test itself might not offer a huge amount of validity, it's important as it's the first of its kind to directly compare the effects of 'entertainment' video games on the brain to the effects of games marketed and sold specifically as 'brain training' programs like Lumosity is - and that if your average game is doing a better job at improving cognitive thinking than the specific software, it might show that scientists are missing something in their understanding of Neuroplasticity's fundamentals. 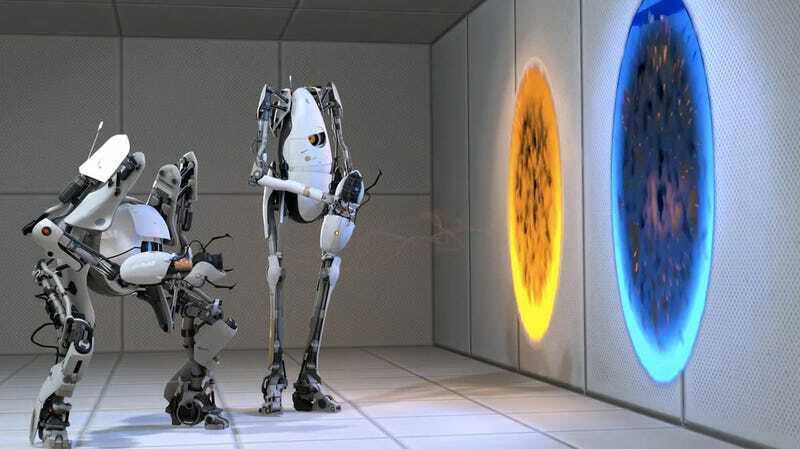 Meanwhile, you should probably keep playing Portal 2 - and not just because it could be better for your thinking skills! If you have access through an Institution or want to pay $25 for the pleasure, you can read Shute's full paper over at Science Direct.